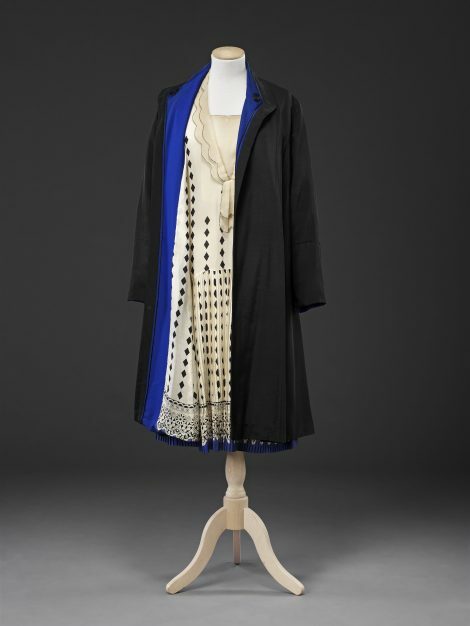 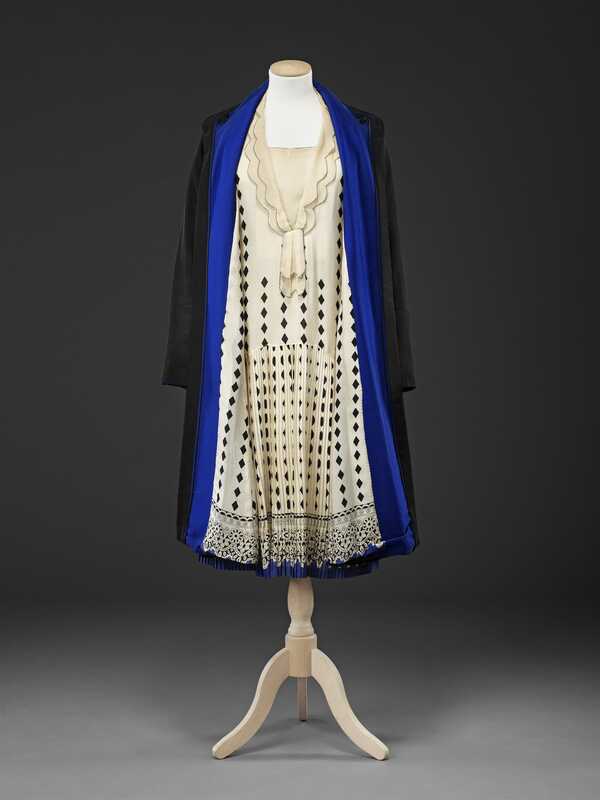 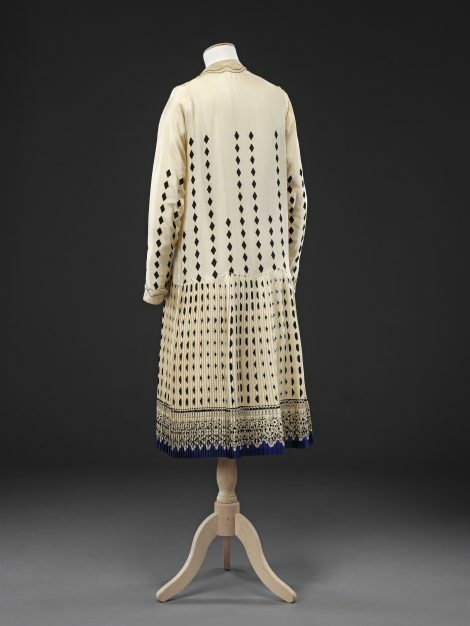 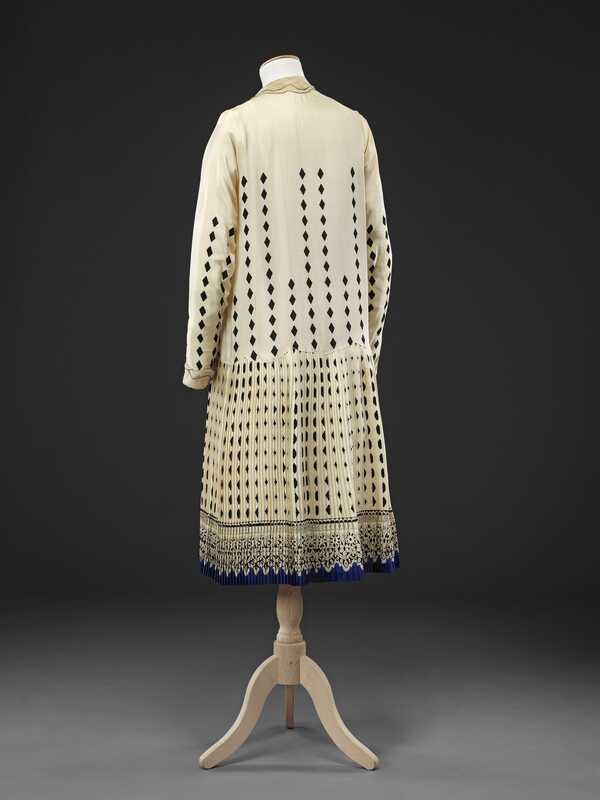 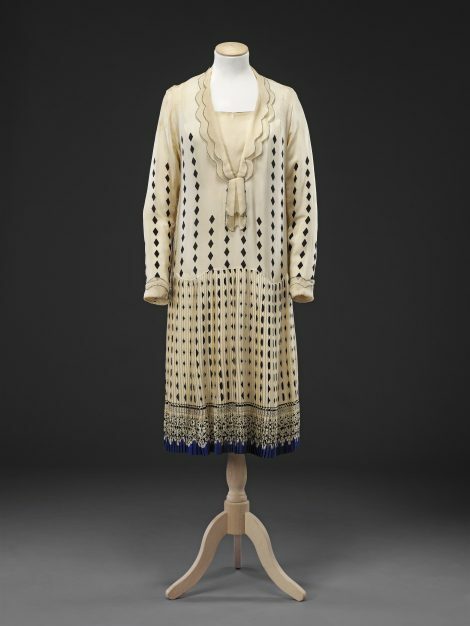 This outfit comprises a long sleeved dress of cream printed crepe de chine and a coat of black ribbed silk lined in matching crepe de chine. 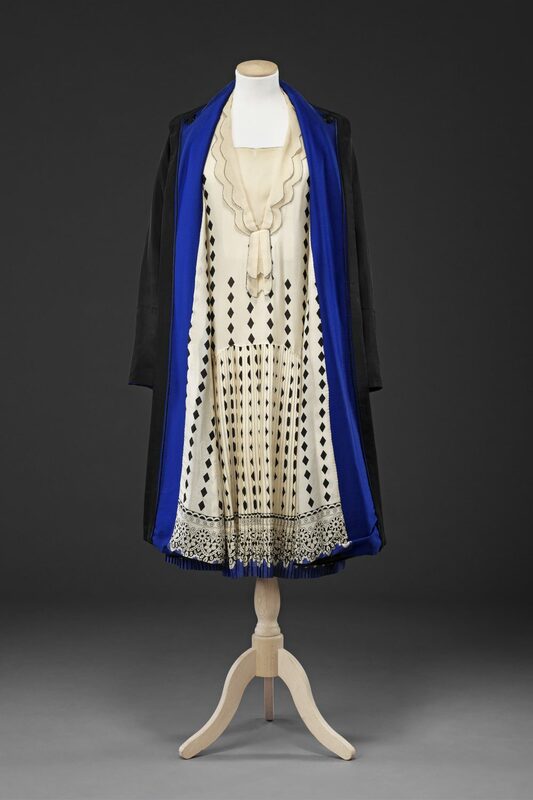 The loose, low waisted bodice and the narrow sleeves of the dress are printed with vertical stripes of black diamonds in varying lengths; its finely pleated skirt transforms these motifs into a rhythmic pattern with a border-printed hem edged in bright blue. 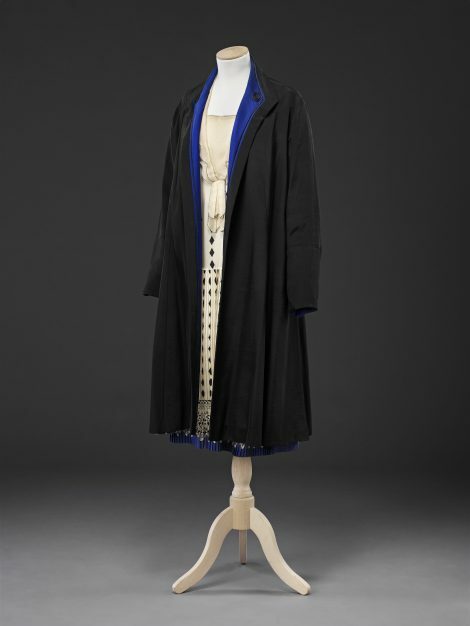 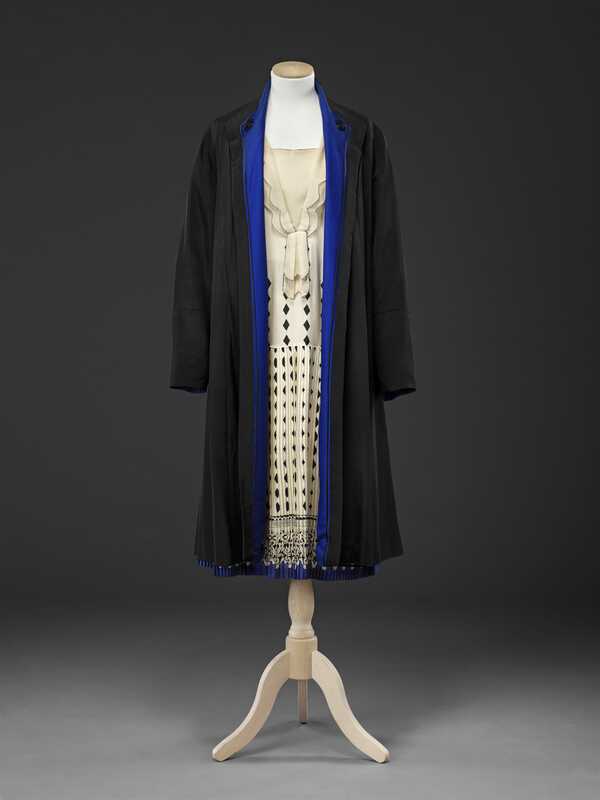 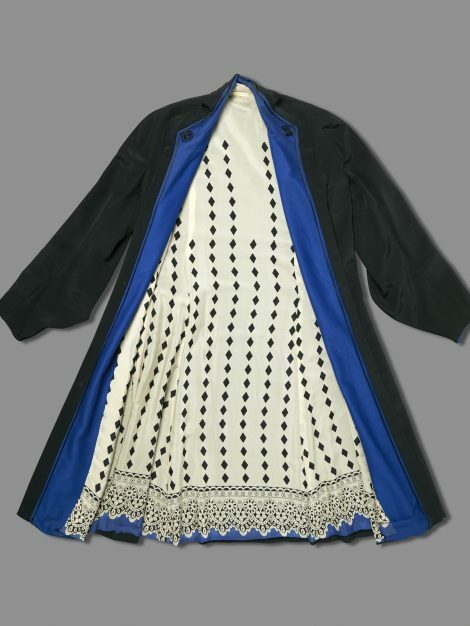 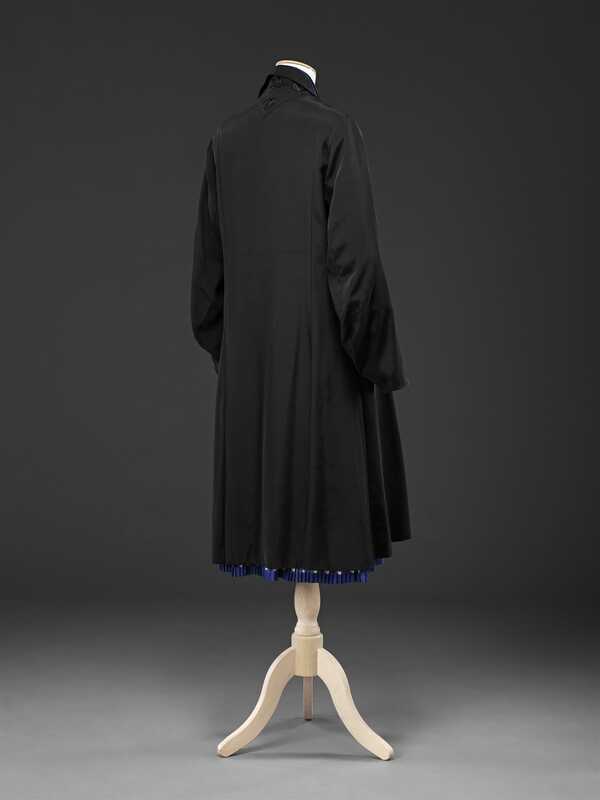 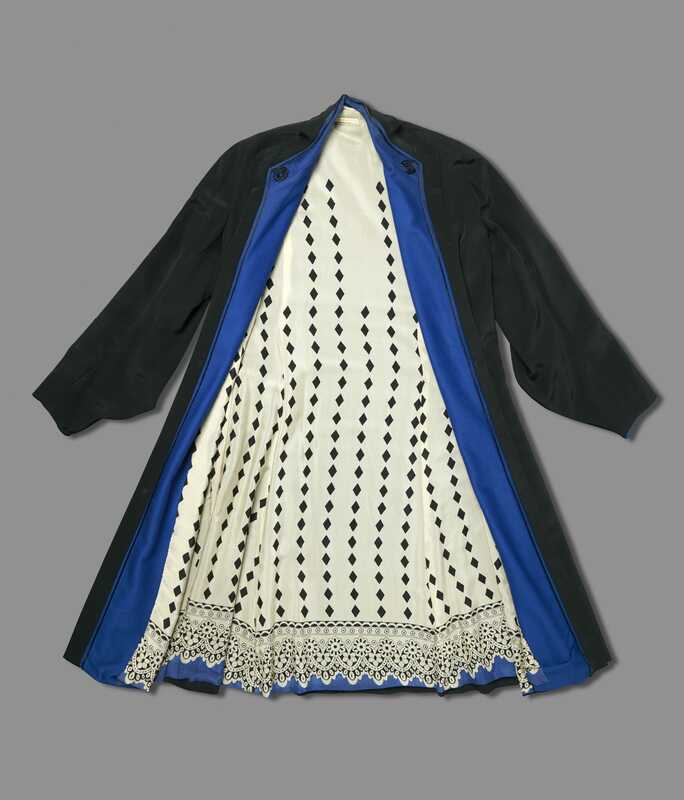 The front opening of the coat is faced in wool that matches the blue of the hem, and trimmed with black braid.